Yesterday was a tad difficult. Not only did I have the fun of having both boys here, but my TMJ and allergies were acting up, it got to 112 on the patio, and I had a guild meeting to go to. Sunday and Monday were at 110 too so by Tuesday I felt fried every time I stepped out of the house. I meant to mention that my last DWM post was my 1,000 post for this blog, but my cooked brain couldn't remember much. So this is the 1001 post for A Quilting Reader's Garden. I can't believe I am there. So most people do a giveaway or something - think I'll do one, too. Did I get to any applique since last Tuesday? No, other than making more musical symbols and thinking about LE. Every time I see one, I want to start on mine again. And today I went off on a scouting trip for our next Seniors Field Trip at our church. We took the train to Downtown LA, caught a subway and another train to Exposition Park and had a great time. This one is doable! Lots of things to see and do. We went specifically for the Pompeii exhibition, but people can do anything they want in the 4 hours they will have to explore before getting back on the trains. Took all day. comment on this post answering: Can you work in the heat? visit Karen here and leave a comment on her blog and let me know you did. Visit Mercy here and leave a comment on her blog and let me know you did. Be sure you are not a no-reply blogger because if you are your chances will be nil. Good Luck! Congratulations on the 1001 post and thanks so much for the giveaway. I'm in Missouri and I can't function when the temp reaches 85 so can't even begin to imagine how you're braving the 100+ temps. Try and stay cool. I'm a quiet follower of your blog via Bloglovin. Went over to Rhonda's blog and checked out her BOM's & BOW's. I love the Teapot and Lazy Hearts BOM's and downloaded the patterns. Thanks for sending me over. I'm now following Karen's blog. Thanks for sending me over to discover it. I did leave a comment. Went to Mercy's blog and viewed her wonderful work. Left a message letting her know and she gained a new follower. I've been following you on Bloglovin for some time. We have a more temperate climate here in the UK and the hottest it has been this summer is 76f. We are having an Indian summer with the days starting misty and cool but beautiful warm and sunny afternoons. Perfect for gardening so quilting is on a back burner. Congratulations on your 1000 (and 1001) post- that shows commitment! I linked your post to my blog this morning too. I visited Rhonda's blog and had a look at her amazing BOWs and BOMs. I love her Texas Wildlife Adventure awaits, although it was difficult to choose. The jumping fish block was really fun. You sound completely done with the hot weather! Me too. I feel like a washed out rag in the afternoons. I really hate the heat and sit quietly working on something so I don't work up a huge sweat. Winter is on it's way - it has to be! Luckily my basement studio is very COOL in the summer....so yes I can sew i the summer....but if were hot...NO!!! I lived in Arizona for 30 plus years and couldn't wait to get out of that heat!!! UGH!!!! Now 90 is HOT for me!!! LOL!!! I do follow your blog, by e-mail. I can't do anything in the heat plus I rarely go out unless it's to an air conditioned car. That's really hard. I'll pick Leafing Through the Year...just because I love leaves. I posted on Mercy's blog and joined. I tried to leave a comment on Mercy's blog, but she has the embedded comment box, so I couldn't. She called her block non-traditional, and the fabrics might have been, but I think that block would look right at home on any Baltimore Album quilt of the traditional time! I hope she can make another for herself - too beautiful not to have one! Congrats on your 1001 posts. YEAH! Long live A Quilting Reader's Garden blog!! I don't mind working in the heat but NOT in hot and humid weather. That's a killer. When it is hot humid and hazy I go hide in the basement. Thanks for the chance of winning such a lovely prize. I did visit Rhonda (which I follow too) and although I love all her quilts, I have to say "In these shoes" is the best! I've been following Karen for a few weeks now and love her work too. I did leave a message. I didn't know Mercy and I am glad you sent me there. She does very beautiful work and I did mention it to her. Ditto on Karen's blog. I always love what she does and was so excited to see her owl quilt. That is wonderful! I've been a follower for a long time! congrats on 1001!! Congratulations on your 1001 blog posting! You are amazing to do this! To answer your question: Can you work in the heat? Yes, only if I have AC, otherwise no. And, I am a follower of your blog. I enjoy seeing all the beautiful things you've made. Very inspiring!! Beautiful quilt. Thanks so much for sharing. I am an email follower. Thanks. Love your blog. I really like rhonda's quilt, when nature calls. Congrats on the anniversary.!! Hope the heat goes away soon! What a generous gift and many to thanks for thinking of us on your special anniversary. It's more fun quilting when it's a bit cooler! Congratulations on your anniversary. I am so far behind in my reading what with trying to prepare for the quilt show this weekend. Thanks you so much for the shout out! You are a doll. The quilt is wonderful and I know it will keep someone toasty warm this winter! I'm a cold weather girl so working in the heat is not my favourite thing to do but I do it anyway! I just can't help myself! I don't go out in the heat unless I absolutely have too. I am blessed with a great air conditioner system. Couldn't work without it. I visited Rhonda's blog! I just love the teapot's. Thanks for the recommendation to visit her blog. No I cannot work in the heat. I don't like working in the heat but I'm in England and we don't get very high temperatures!! I already follow Rhonda - such a generous lady! Can I work in the heat? Yes but don't like to. Don't expect me to zip right along. It's more like a leisurely pace of stitch stitch stop stitch. LOL. I just visited Rhonad's site. I love the Lazy Hearts BOM. It's great to see how many different ways you can make the hearts and theme them. I'm already one of your followers and it is quite a feat to have done so many postings so far! I really love reading everything that you post so keep up the good work! Thanks for putting in the link to Karen's blog. She has wonderful things there. I left a message telling her so and have also now started to follow her. Thanks so much for pointing me in the right direction. Oh my goodness! All those beautiful fabrics on Mercy's site!!!!! I commented on them. Thanks for sending me her direction. At first it was really hard to work in the heat, but now I have fans set up and move them from room to room so I am getting somethings done. Thank you for putting my name in the hat for your wonderful drawing! I receive your updates sent in an email and I just now clicked to follow you via google. I do not do well in the heat either. Melting is not a good look. I much prefer spring and autumn weather which is so much more liveable. I follow your blog and really enjoy visiting. 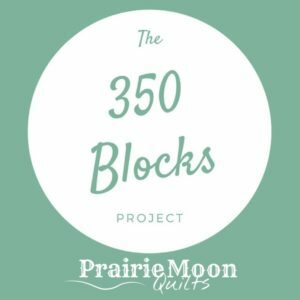 I visited your friends blog what a lot of projects! I have never done any embroidery but think I will someday. A is for Aardvark looked like it would be fun. I visited Karen's blog and left a note on her orange crush quilt - so pretty and such nice tips! I visited Mercy's blog and enjoyed her work. I had trouble finding where to leave a comment but did figure it out on the How Long Does Something Like this Take post. Thanks for the chance. Wow Angie, many blogs and beautiful quilts. I want you to know I left a comment yesterday, but I guess it was just practice. I can and do work in the heat. My shop is a Sweat Shop. I also, garden, and live in your town which is cooler today but has been very warm, okay, HOT! I shared your post on fb yesterday . 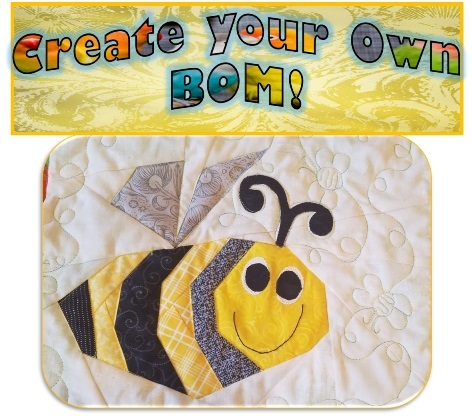 Congratulations on your prolific blogging, and thanks for sharing this awesome quilt! I can't believe that you are giving something so beautiful away! We don't have air conditioning in our old farmhouse in Wisconsin, so you would think I would be used to working in the heat. But no, when the temperature gets above 90, the sewing room get abandoned and I sit in front of a fan and read. I follow you on Bloglovin. Thanks for the inspiration and your commentary on California. I lived there for awhile and still miss it, so I love reading about it. I envy you going to the Pompeii exhibit! I visited Rhonda. I love "When Nature Calls"! I visited Karen and commented on her great post in which she discussed what's unique about her work. I've been following her blog for a long time because I love everything that she does! I visited Mercy and commented on her beautiful Baltimore block. Thanks for introducing me to her beautiful blog! Heat? LOL not much of that in England! Please let me pay the shipping if I am lucky enough to win. I just signed up as a follower, I look forward to reading more. Congratulations on your 1000 posts! I find it difficult to work with my fabrics when it's hot. This summer has been the warmest since 1903 in Norway. So I did nothing but my small hexies. Oh yes, I follow this blog, for sure. Rhonda's "In These Shoes" is really awesome! Congratulations, and thanks for the chance to win this beautiful quilt! I follow via Feedly. 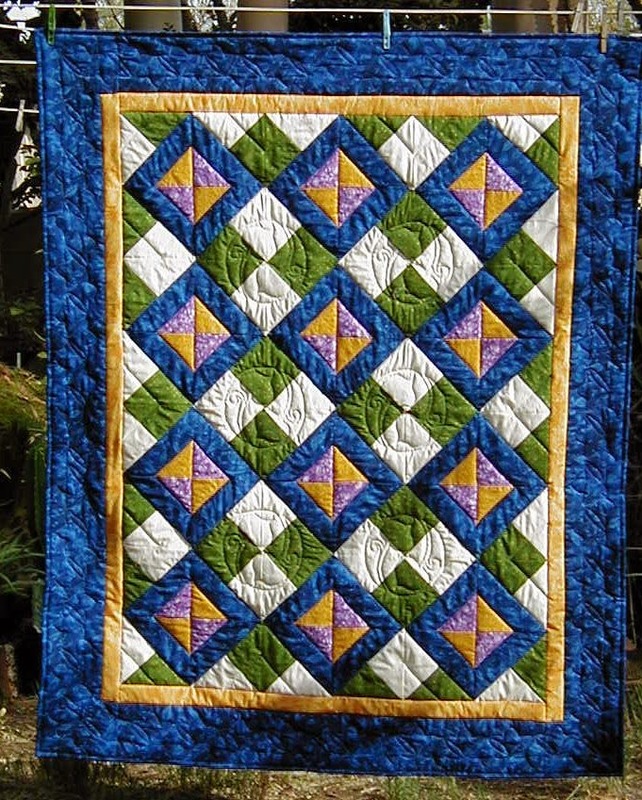 Congratulatioms con 1001 post,that"s a fabulous milestone.Thanks for the chance to win this gorgeous quilt!! Yes,I love heat.Here,Spain,July and August are the month most heattest and are ones of my fav months. Of course,I do follow your blog by GFC!! Love Rhonda's When Nature Calls!! Oh my, did you see Karen's Piccadilly to the Nines! Awesome, I just had to leave her a comment. I need to make one! Posted about your 1001 posts and giveaway on my blog! Congrats on your 1001st post! That's quite an accomplishment. I work best in the heat. I hate to be cold, like I am today. Time to head south with the birds. I am a new follower and looking forward to not only your new post, but to taking time to check out your archives! I posted about your give away on my most recent post. I visited Karen's blog and left a comment on her exquisite work! I cannot function at ALL in the heat. Can't think, can't stitch, can't do anything but whine and complain! LOL. Can't do anything in the heat except drink ice tea! I commented on Karen's blog. Congratulations! I enjoy hot weather as long as I don't have to work outdoors. Give me a fan and a cold drink and I'm happy. Follow your blog by email. Can I work in the heat? Not very well, I'm afraid, especially since I'm in the midst of menopause! Ugh. When I sew, I have 2 fans running and the AC pumped up just to keep me cool. I visited Rhonda's blog and chose her Lazy Hearts as my favorite BOM. I love hearts on anything! Heat doesn't bother me too much, especially for sewing, but humidity is another matter! We have high humidity in the summer, then head south for the winter, so more humidity. I'm afraid I resort to hiding in the air conditioning more than I'd like to admit! Congrats! I can work in the heat, as long as I'm not doing something that makes me hotter. I follow your blog, I do not work int he heat. My shop cannot keep up against 110 degree weather and I love it when it finally gets into the 70's here in Central TX. Please include me in your giveaway, I would share with Billie, lol. Congrats on 1001 posts! That is exciting. What a generous giveaway you are having. Lovely quilt. I do not like working in the heat. No way, No how! I am a follower even though I have not been reading blogs much lately. Lot of family stuff going on. I left a comment on Mercy's blog. did you know her husband dyes fabric? I need to get mine working! Hands down, on Rhonda's blog I would choose the Outhouses! I have visited her before for those same Outhouses! I just love them. I live in Louisiana and that is the only way we work! And we always add heat to our food as well! I just set up post that will hit my blog tomorrow telling my followers about your giveaway! I had to check my number of posts and I was surprised to find the counter at 1806! My it flies by, doesn't it! Congratulations on your 1001th post! I can work when it is hot but not in the direct sunshine. i don't quilt when it is hot but I will piece. thankfully at my house it doesn't get that hot very often. When I lived up North (NY) I couldn't stand the heat and always ran into the air conditioner. I live in the South now and it doesn't bother me anymore, I guess my body got used to it. I also work outside most of the year so I was forced to acclimate to it. Congrats on your 1001 post! I can work in the heat if I have a fan, rather have air conditioner. But sometimes you gotta do what ever if you are working on a quilt. I follow you via Bloglovin and email, GFC. Your quilt is beautiful! Stopped by Rhonda's and could hardly pull myself away. I love all her BOM's. When Nature calls is so pretty, especially Block 3. We have some land in TN and we built a little cabin/shed. I would love to do that quilt and make the outhouse as little cabins. Thanks for sharing, I love her patterns. Went to Karen's blog and left her a comment. Left Mercy a comment on her blog. Thanks for sharing these blogs with us to help learn new techniques and more. Wow! What an amazing quilt! And congratulations for 1001 post! Thanks for sharing! Just started following you, and can't have enough projects. Congrats on 1001 posts. I love the pillow design and even more I love the scraps. (I usually pick out of the garbage what everyone else is throwing away!) I have loads of fun with my scraps, but perhaps it's a symbol of my unwillingness to commit (to cutting up larger pieces of beautiful fabric). I'm a scrapaholic and a fabricaholic. what can I say. I don't do very well working in the heat! I've worked too long in ac to be able to do that... Thanks for the giveaway! I cannot work in the heat and heat for me is anything above 70 degrees. What a fantastic and generous prize! I can work in the heat if I have a GOOD fan around! Of course, then there are issues with blowing pieces. . . I went to Ravelly's blog and looked at Rhoda's designs - they are AMAZING!!! Hard to decide on a favourite quilt though! I really love the combination of embroidery and patchwork. Leafing through the Year is probably my #1 pick but I also LOVE A is for Ardvark, and In These SHoes - oh as well as the Hearts quilt. As far as working in heat - NO!!!!! I hate being hot and without air conditioning I would not survive where you live. It makes me feel so lethargic - and that is not good. I visited Karen and left a comment on her amazing hexie works - her quilts are beautiful - I had no idea you could make such fabulous designs with hexies. I went to visit Mercy and her applique work is gorgeous - I loved the big bird design. Hawaiian quilting is truly fascinating. I have signed up for your newsletter and can't wait to get it!! What a generous giveaway - thank you for the chance to win your gorgeous quilt. I have a really hard time working in the heat. I am just a hot sweaty puddle in the heat. I went over to Rhonda's blog and checked out her BOM's & BOW's. I love the Teapots. Posted on Karen's blog for her giveaway. I am a follower of hers. I shared on my blog late last night... Yeehaw! Sending followers your way! I came over from Karen's blog, love the quilt. Here in the Midwest it has been hot then cold and my air is still on. Love the heat but need my air. Congratulations! 110 is too hot for me. I can't handle 95 anymore. Of course in the South we also have 95% humidity. Your quilt is lovely. Someone will love winning it.